The dentist will examine the face and the oral cavity with a mirror and probe to detect any dental or gingival lesions. 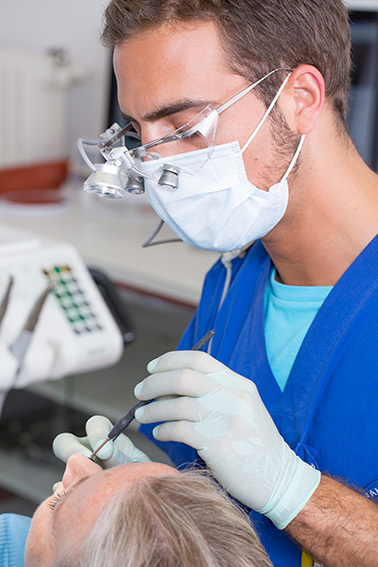 He will also probe the gingival margin; if necessary the periodontal exam will be registered. Palpation of the soft and hard tissues of the face might be performed. Examination of removable prosthesis might be necessary.